Retracing the itinerary of the main striking force of the 6. Panzer Armee would take an entire day. The visit will take you from Tondorf, Germany, where the column was filmed by German war correspondents, to the La Gleize caldron, graveyard of the armored combat group. 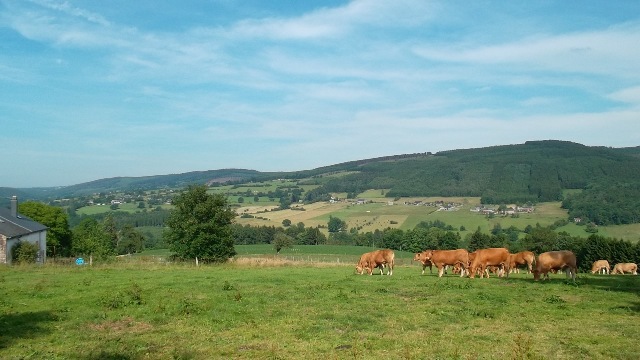 Your steps will bring you to famous locations such as Lanzerath, Honsfeld, Büllingen, Baugnez, Ligneuville and Stavelot, turning point of the battle. Rahier, Stoumont and La Gleize will complete the day. 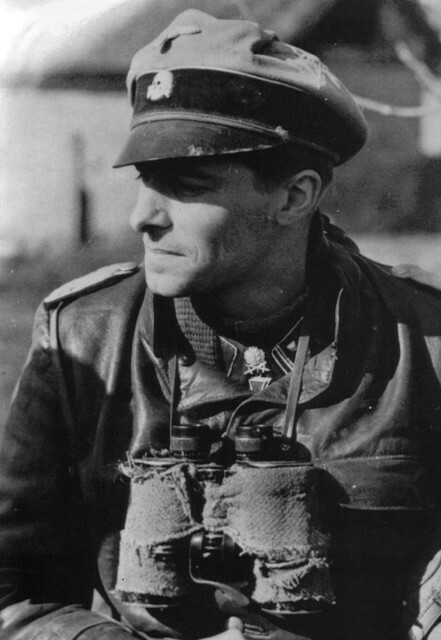 Kampfgruppe Peiper wrote History with bloody letters. Beside rude combat engagements, its route was sown with murders of American POW’s and Belgian civilians. The Malmedy massacre and the post war Dachau trial will forever mark the unit and its commander with the seal of infamy. The impact left on the local population is still hurting today. 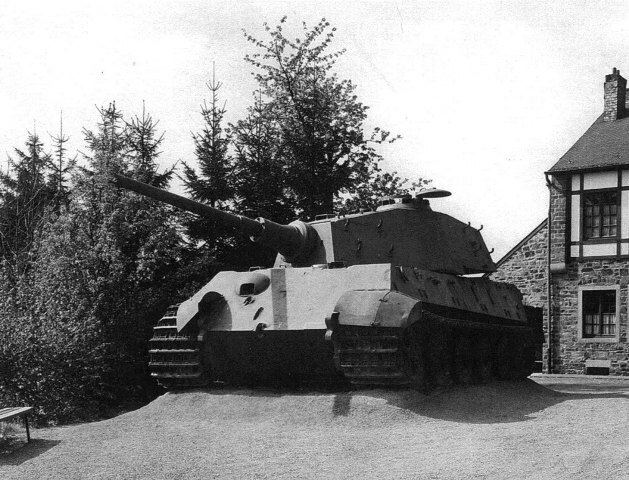 One of the most famous attractions of KG Peiper was the attached s. SS Panzer Abteilung 501 (501st SS Heavy tank battalion) and its monstrous King Tigers. The number of Tigers involved has always been a subject of controversy. 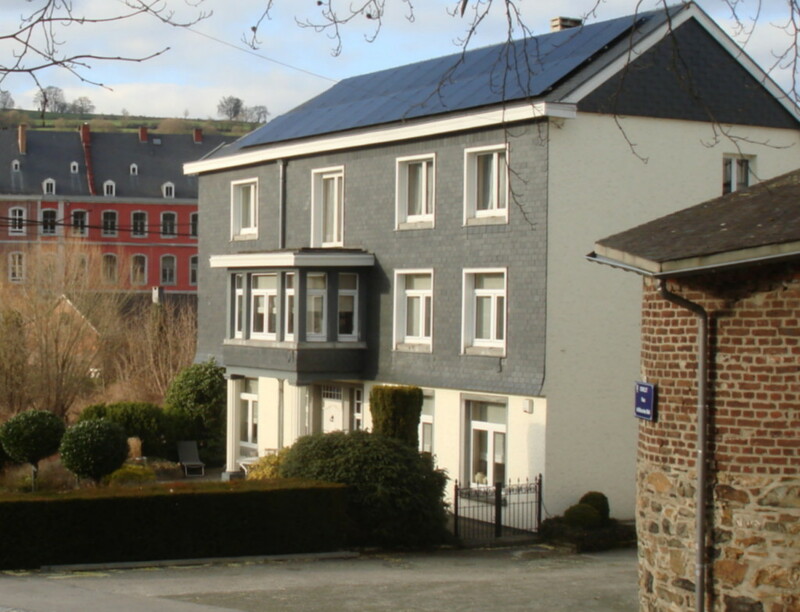 -2015 view of the Crismer house on the south bank of the Amblève River. 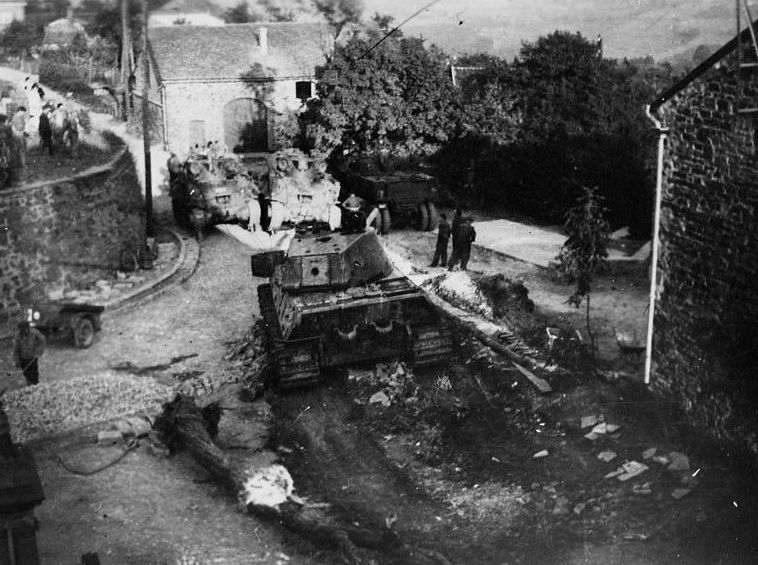 – Spring 1945 view of the same spot with SS Oberscharführer Kurt Sowa’s King Tiger 222. 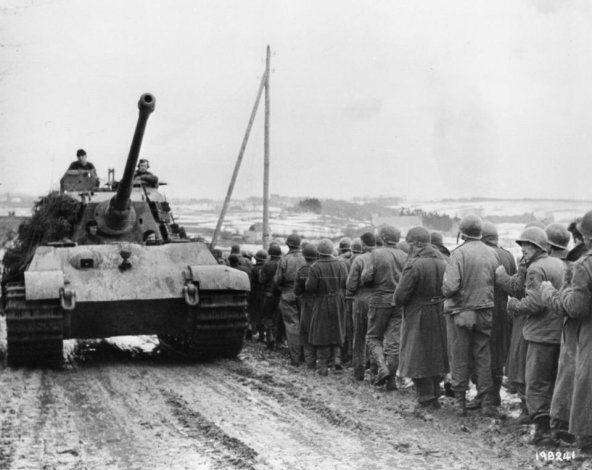 If apparently the battalion was at full strength on December 16 with 45 Tigers, a dozen never left the assembly area due to mechanical and maintenance problems. Many suffered breakdowns, others became separated and fought individually. At the end of the second day of the battle, the battalion had totally lost its cohesion. 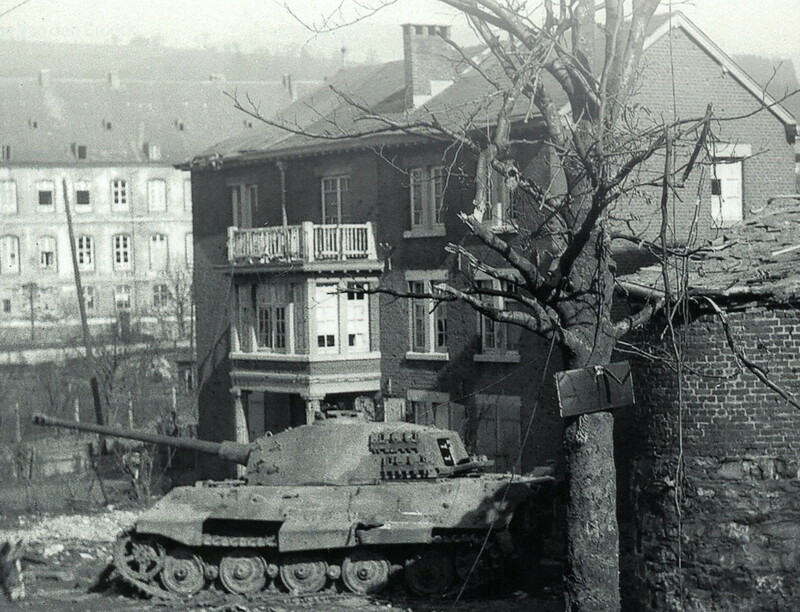 From pictures and reports, it seems that only 11 Tigers crossed the Amblève at Stavelot. From that number only 6 followed Peiper to La Gleize. One of them was Tiger ‘213’. Tiger 213 at the Wérimont farm. In the last hours of the final stand, Tiger ‘213’, then commanded by SS-Obersturmführer (1st Lt) Dollinger, was in position at the Wérimont farm along with Tiger ‘221’ of SS Untersturmführer (2nd Lt) Hantusch. 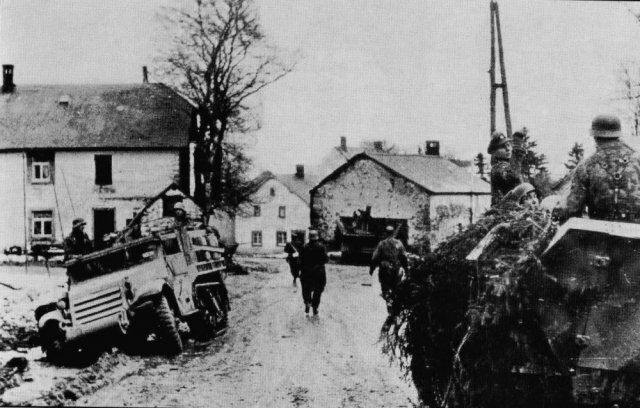 From their dominating position, both tanks were guarding the east and southeast approaches of LaGleize. 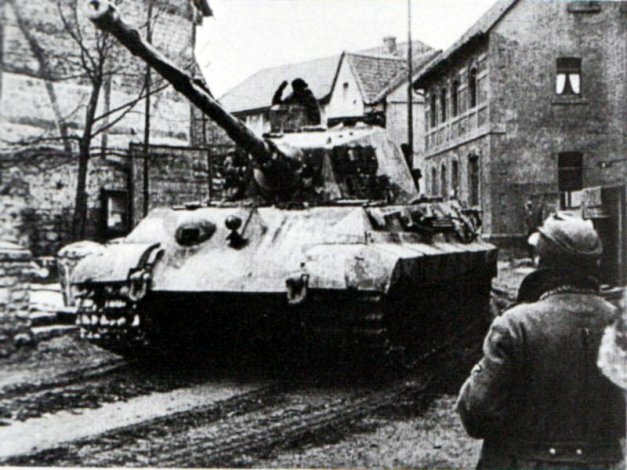 On December 22, 1944, in the early afternoon, they engaged Sherman tanks of TF McGeorge coming down the route from Roanne Coo, at a distance of 2000 yards. 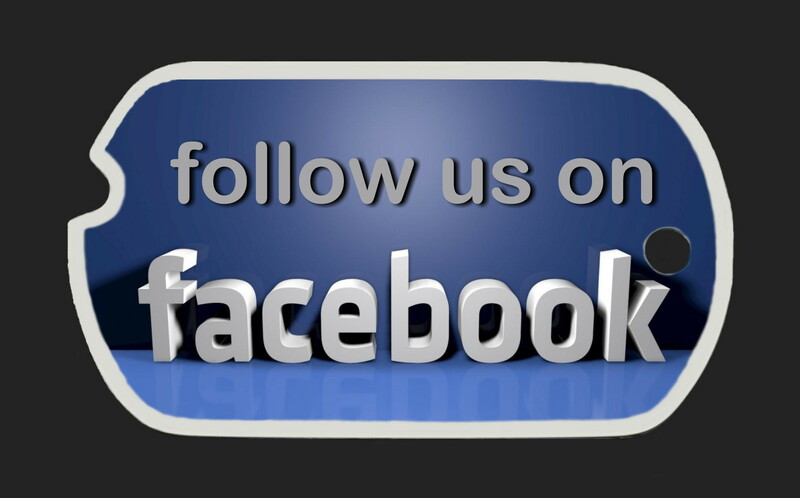 Several hits were recorded on the lead tanks and the column was stopped. American return fire focused on both Tigers and succeeded to disable 211’s traverse mechanism. For its part, ‘213’ had a third of its gun blown off by a direct hit. Both tanks had to be abandoned. City Hall of La Gleize after the battle. 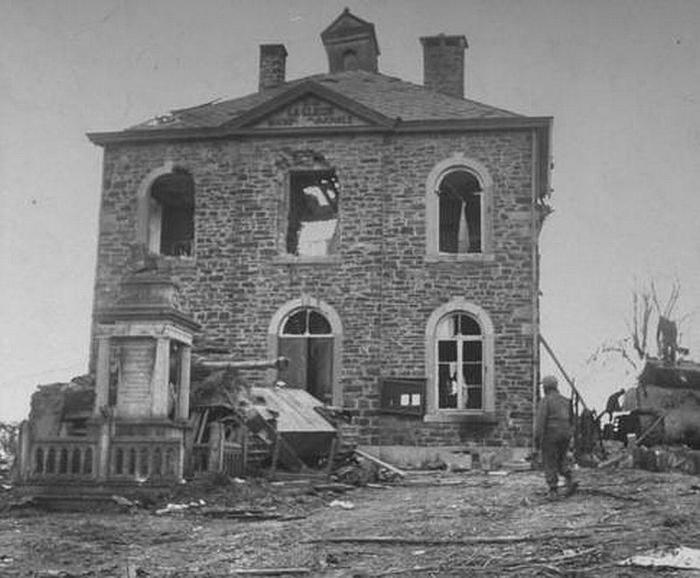 At war’s end, in the Summer of 1945, the US Army began removing all the abandoned German vehicles left in and around La Gleize. 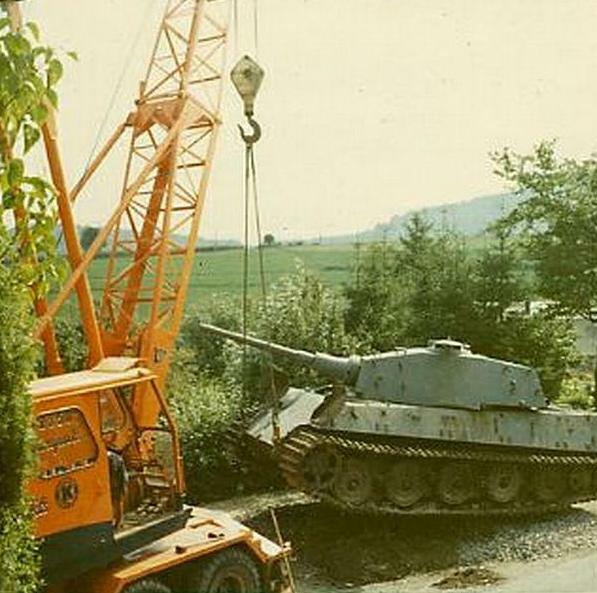 The Wérimont farm was not of easy access for the US Army wreckers and Tiger ‘213’ was one of the last to be removed. 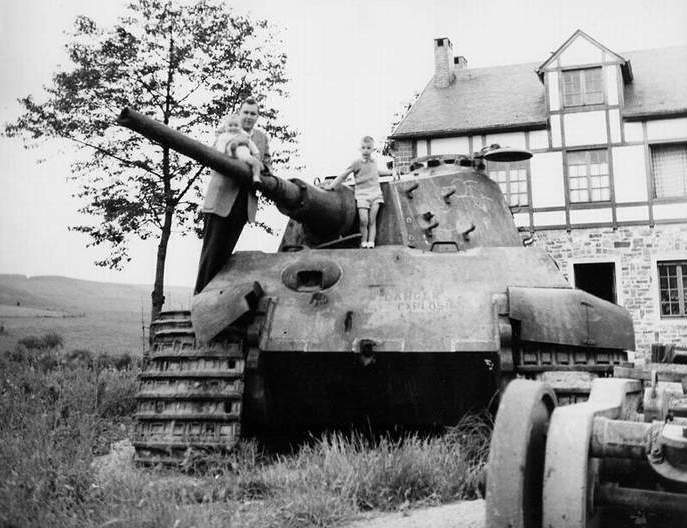 As it was painfully towed away, Mrs Jenny Geenen, owner of the local « La Fermette » Inn, negotiated the acquisition of the German tank for a bottle of Cognac. Mrs Gennen was far seeing and thought a major memento of the battle should be kept in the village. 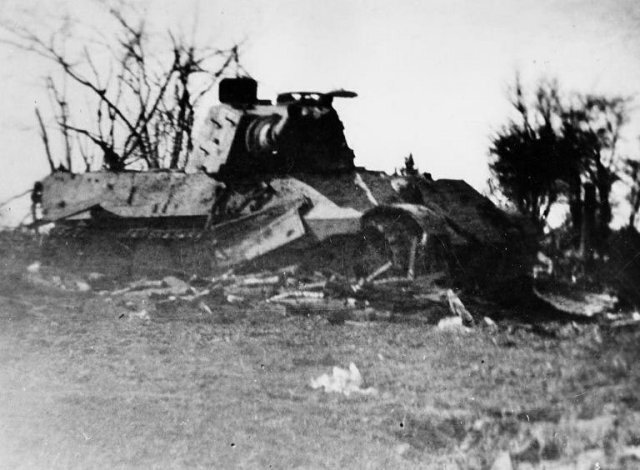 The tank was brought back to the square and left there as a silent reminder of the bitter combats that left the little village in ruins. In 1951, La Gleize had almost recovered its pre war appearance and the German tank was now encumbering. 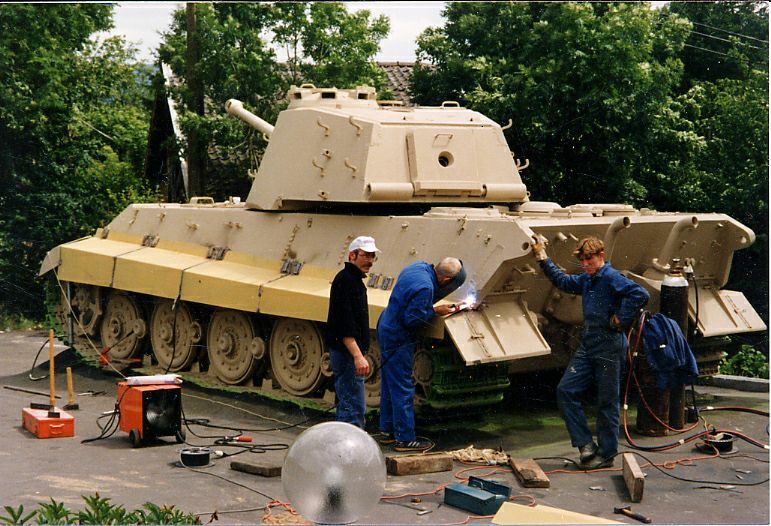 It was moved away to its actual position by Belgian Army M32 recovery tanks. 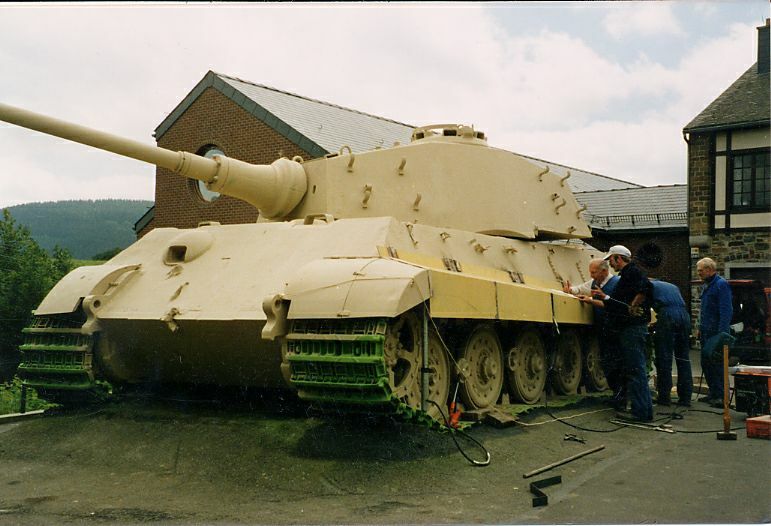 The King Tiger remained unattended in relic condition for many year. 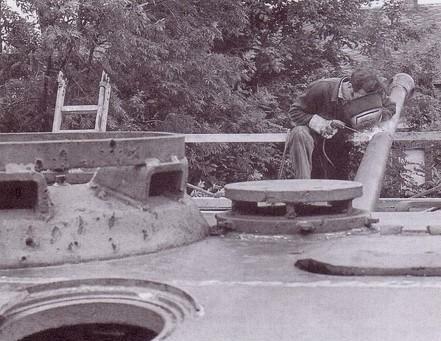 In 1951, under the energetic guidance of Gerard Grégoire, secretary of the local tourist information center and curator of the La Gleize museum, the restoration of the King Tiger was undertaken. The main problem was the missing portion of the barrel. 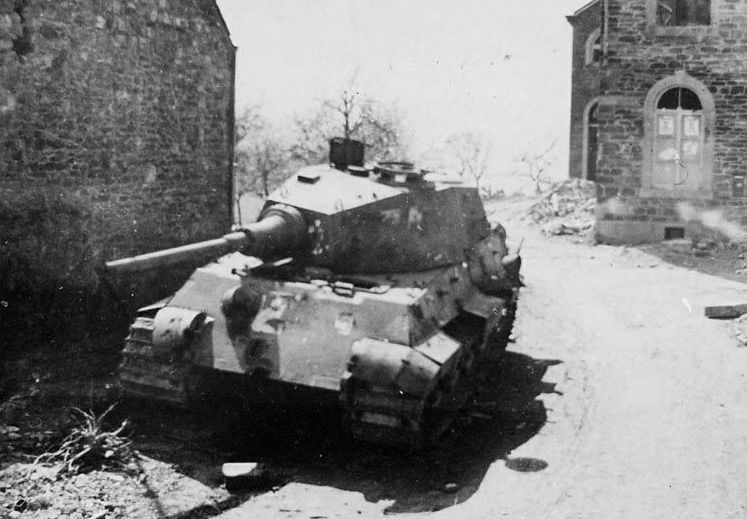 By chance, Mr Grégoire located a portion of a Panther barrel in La Gleize, by a farmer. 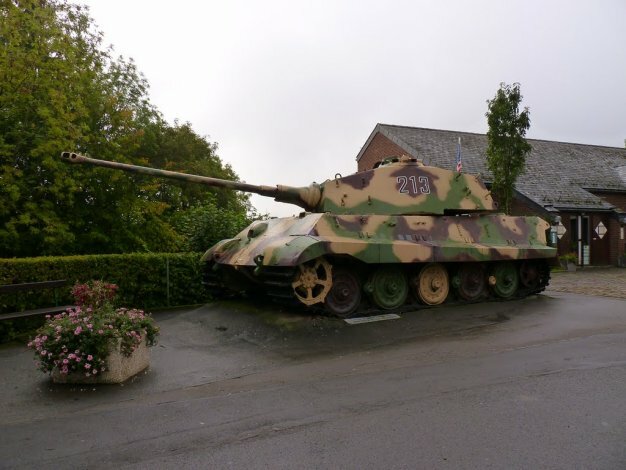 Jacques Goffin, a local collector, discovered a Panther muzzle break in Falize (Malmedy) where it served as Christmas tree support! Though not of the same caliber, both pieces were adapted and welded to the Tiger. With its original appearance recovered, the King Tiger of La Gleize is by far the most unique relic still visible today on the entire Battle of the Bulge battlefield.